More than 25 million vehicles travel worldwide with propane autogas in their fuel tank. This includes shuttles, school buses, taxis, delivery vans, construction trucks, paratransit vehicles and more. Many fleet managers choose to install on-site fueling infrastructure, eliminating trips to off-site stations. There are thousands of propane autogas fueling stations in the United States, with stations in every state. Propane autogas fueling infrastructure costs less than any other transportation energy source — conventional or alternative. According to the U.S. Energy Information Administration, propane supplies have increased 12 percent since 2013. During the fuel price spikes of winter 2013-14, most propane autogas fleet customers did not feel an impact at the pump. Fuel supply contracts allow customers to lock in single- or multi-year pricing agreements, securing consistent pricing regardless of fluctuating market prices. 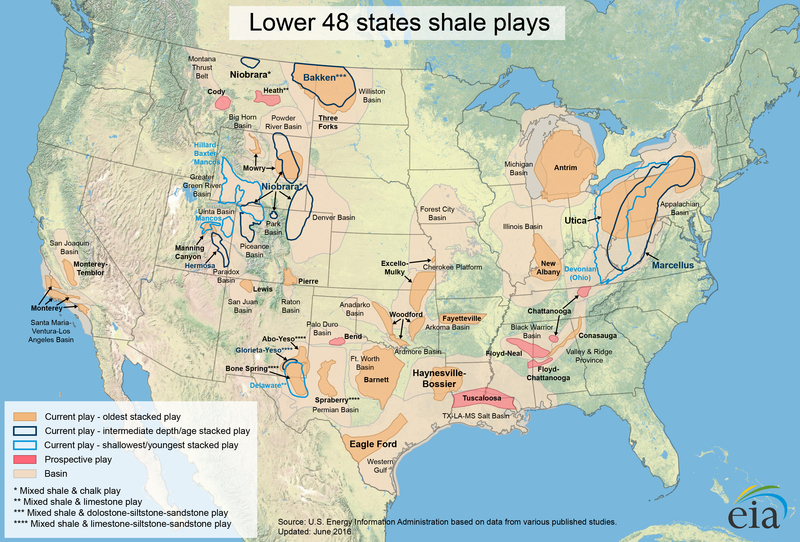 This map from the U.S. Energy Information Administration’s map shows the shale gas and oil plays in the continental U.S. More information can be found here.